Getting to Tiffany & Co.’s (TIF) flagship store on Fifth Avenue in Manhattan has been a huge debacle for shoppers since Donald Trump became president-elect a week ago. It means navigating around a labyrinth of street closures, metal barricades and armies of police officers, some in full-SWAT gear, who have tightly blocked access to Trump Tower, which, unfortunately for Tiffany’s, is located next door. When more than 5,000 protesters were added to the mix last weekend, the street closures widened, where no one was permitted access to the retail store unless personally escorted in by a Tiffany rep.
All of this has Tiffany investors and market experts worried. “How can it not affect them?” asked Howard Davidowitz, chairman of Davidowitz & Associates Inc., a retail consulting and investment banking firm. “You can’t go on the block sometimes – how are you going to go in the store?” Davidowitz has a birds-eye view of the kerfuffle as he’s lived in Trump Tower for 22 years. And since much of the luxury jewelry retailer’s sales come during the holiday season, any disruption could hurt Tiffany’s top and bottom lines. 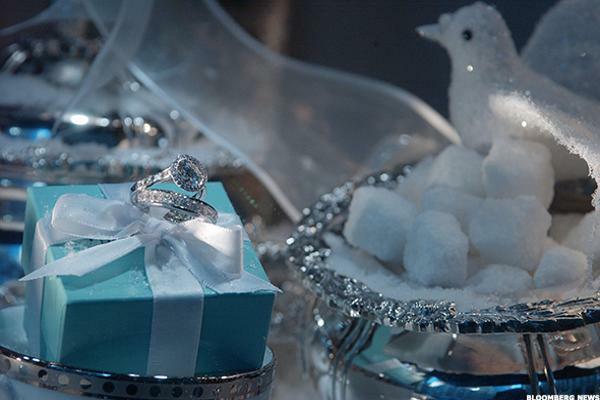 “There’s no question that the fourth quarter for Tiffany’s is very important because of the gifting aspect of what they do,” said Jim Leventhal, chief executive of Leventhal Asset Management. Although Tiffany is a global company, it gets more than 10% of its sales revenue from its Fifth Avenue flagship store. “It’s upwards of 10% of total company sales and upwards of 20% of domestic sales – it’s big,” said Brian Nagel, a managing director at Oppenheimer & Co. So, any hit to the flagship store’s sales could “affect their earnings big-time,” added Davidowitz. Tiffany is already facing headwinds from Asia and Europe, where sales have been sluggish. In China, a government crackdown on corruption, extravagant spending and lavish “gift-giving” has taken a toll on the luxury goods market since 2014, and the oil glut over the past few years has dampened sales in the United Arab Emirates. In Paris, terrorist attacks triggered a sharp drop-off in tourists to Europe, which has also tempered Tiffany’s sales, said Nagel. At the same time, the strong U.S. dollar has squeezed spending from foreign tourists. “Tiffany has had a very bad two years, both in terms of sales results and share price,” said Leventhal. However, many analysts are bullish about the company’s outlook for 2017. “A rising stock market always helps luxury,” said Davidowitz. The Dow jones Industrial hit a record high this week and the S&P 500 continues to climb. Cowen & Co.’s Oliver Chen recently upgraded Tiffany to outperform from market perform and raised his price target on the stock to $90 a share on the belief that sales started rebounding in the second half of 2016 and are poised for growth in 2017. (Tiffany shares recently traded at $78.10). Oppenheimer’s Nagel also rates the company at outperform, but has a more modest $80 price target. Tiffany shares, which hit a 52-week low of $56.99 in June, rebounded more than 40% to a high of $81.89 this month. Part of the rally was triggered by market rumors in September that activist investor Bill Ackman was considering taking a stake in the company, which ignited takeover talk.